The sturgeon chub (Macrhybopsis gelida)is presently listed as a species of special concern by the state of Montana (S2, MTNHP & FWP 2008) and had been previously classified as a Class B SOC (Holton 1980, Hunter 1994). It is similarly listed a SOC in 9 of the other 11 states where it occurs and it is thought to be extirpated in Iowa (Nature Serve 2008) (Fig 1). The main reason for these listings has been the serious decline in their historical native range during the past 50 years. Sturgeon chubs are reported to be present in ~55% of their original mainstem river miles and extant in only 11 of the 30 tributaries to the Yellowstone and Missouri rivers where suitable river habitat exists (USFWS 2001). Because of this range reduction, this species is ranked a G3 or globally vulnerable and potentially at risk of extinction (Nature Serve 2007, IUCN 2006). On August 8, 1994, the USFWS was petitioned to list the sturgeon chub as an endangered species. The USFWS reviewed available information and concluded that substantial information existed to indicate that listing of the sturgeon chub as endangered may be warranted (USFWS 1994). Due to additional studies and more recent surveys indicating that the species is more common and widespread than previously believed, this species was taken off the USFWS Candidate Species list in 2001 (USFWS 2001). Following the listing proposal, Montana Fish Wildlife and Parks (FWP) conducted additional population surveys in the Missouri River (Grisak 1996) and continues to collect data on populations in the middle Missouri and Yellowstone river basins (Gardner 2005, Haddix & Holte 2008) in an effort to gain more knowledge of the species. In the mid 1990s, benthic trawls (with small mesh) were found to be effective for sampling the sturgeon chub in large river systems (Grisak 1996). Using this new methodology, biologists were better able to document distribution and abundance of this benthic fish species. As a result, sturgeon chubs were sampled in areas where they were previously thought to be extirpated. One of these areas was the Middle Missouri River upstream into the Marias River (Gardner 2005, W.Gardner, MT FWP, pers. comm). Currently, sturgeon chub occupy ~620 miles of large river habitat in Montana, and population estimates in sampled areas of the Missouri and Yellowstone Rivers are higher than previously reported (USFWS 2001). This wide distribution range across two different large river basins protects this species from a potential catastrophic event that could extirpate it from the state. For these reasons, sturgeon chubs appear to be relatively secure in Montana. Exceptions to this status occur in tributaries to the Missouri and Yellowstone rivers. For example, Powder River populations in both Montana and Wyoming continue to decline (Werdon 1992, Confluence Consulting 2004, Stagliano 2006, Gordon Edwards, WYDF&G and Dave Petersen, USGS 2008, pers. comm.). Populations in main tributaries within Montana, the Bighorn, Milk, Little Missouri, and lower Teton Rivers remain extirpated (MFISH 2006), although sturgeon chubs have been found in the Bighorn River upstream in Wyoming as recently as 7 years ago (Mark Smith 2009, WYDG&F personal communication). Currently the conservation status of the sturgeon chubs is ranked as S2, which is considered vulnerable to extirpation in the state. While it has been considered that an upgraded rank to a S3, or vulnerable would be more representative of this species’ current status; the ranking model is at the mid-point of an S3 rank (Nature Serve ranking system, Appendix A). Therefore, this status paper update, in light of new data, a recent literature review and recent biologist contacts concludes that a rank of a S2S3 is in the best interest of the sturgeon chub given the large scale losses and continued decline of some of it’s populations in Montana. The sturgeon chub is native to the Missouri-Mississippi river basins from Montana to Louisiana; they were first collected from the Milk River in Montana during the Pacific Railroad Surveys of 1853-1855 (Lee et al.1980; Werdon 1993). The historic distribution included approximately 3,379 km of the main stem Missouri River and ~1,850 km of the Mississippi River, plus the Yellowstone River in Montana and 30 tributaries to the Yellowstone and Missouri rivers (USFWS 2001) (Figure 2). The current distribution includes about 1,858 km (55%) of their historical range in the Missouri River and only 11 of 30 tributaries (Figure 3). Sturgeon chub are highly adapted to life in turbid waters. They have small eyes and many external papillae on their bodies and fins, probably to aid in locating food (Cross 1967, Pflieger 1975). Chub are most closely associated with sites having moderate currents and depths and sand or rock substrates (Baxter and Simon 1970; Brown 1971; Lee et al. 1980). In the Powder River, sturgeon chub were taken most frequently at sites with depths less than 51 cm and depth velocities of less than 90 cm/s at 0.6 depth (Stewart 1981; Werdon 1992; Gould unpublished data). Figure 2. Historical distribution of the sturgeon chub within the Missouri River Basin. Figure 3. Current distribution of the sturgeon chub within the Missouri River Basin. Historically, sturgeon chub have been collected in small numbers from only a few locations in Montana, so MTFWP designated it a state species of special concern over two decades ago (Holton 1980). More recently, Werdon (1993) reported the sturgeon chub was possibly in danger of extinction over much of its former range, including all relevant Montana waters, except the Powder River. However, recent collections of this species, with the exception of the Powder River, show it is more widespread and abundant than previously understood. Prior to 1975 only four collections of sturgeon chub were known from Montana. The first collection was taken from an unknown site on the Milk River (Girard 1856) and three collections were reported over 100 years later from the Yellowstone River drainage (Bailey and Allum 1962; Brown 1971). Collections from 1975-1982 determined that sturgeon chubs were also present throughout the Powder River (Rehwinkle 1978), in the lower Tongue River (Elser et al. 1980), and in the lower Teton and middle Missouri rivers (Gardner and Berg 1982). During 1990-95, collections verified the persistence of sturgeon chub in much of their previously known mainstem Missouri River range and established major range extensions. Gould (1998) compiled the sturgeon chub distribution for Montana (Figure 3). Sturgeon chub were present and abundant in the Powder River (Werdon 1993; Gould 1994), lower Yellowstone River (Werdon 1993; MSU collections, Bramblett, unpublished) and the mid-Missouri River (1994 FWP, unpublished). Furthermore, collections from 1993 – 1995 have yielded significant up and down-stream range extensions in the lower Yellowstone (Bramblett, unpublished, Ruggles 1997 and Stewart 1994), as well as in the middle Missouri (FWP unpublished data). Figure 4. Distribution of the sturgeon chub in Montana in 1997 from Gould (1998). Black bars represent presumed extirpated populations. Studies conducted since 1994 using benthic trawls designed to collect small fish from deep-water areas of the main channel have provided new information about the distribution and relative abundance of sturgeon chub. Grisak (1996) conducted the first studies using a benthic trawl with small mesh netting to specifically collect cyprinids and other small fish in the Missouri River. He sampled the Missouri River above Fort Peck Reservoir in 1994 and 1995 and found that sturgeon chub comprised 18.9% of the benthic trawl catch compared to only 0.16% of the catch with seines. In Grisak’s 1996 study, sturgeon chub were the third most common species collected in benthic trawl tows. Gardner (2000a & b) re-sampled the same general area as Grisak and collected 218 sturgeon chubs (16.1% of the catch) in August 1999 and 145 (32.0 % of the catch) in August 2000 using a benthic trawl. In 2000, sturgeon chubs were again captured in the lower Tongue River, reversing the extirpated status since the 1998 Gould status paper (Gardner, pers. comm.). Welker (2000) used both seines and a benthic trawl to sample the fish’s populations in the Yellowstone/Missouri River confluence area in North Dakota. Sturgeon chub were the second most common species collected (32.3% of the catch) in benthic trawl samples taken in the main channel. Shallow border channel areas also were sampled with seines and sturgeon chubs were rare in these samples, representing less than 0.01 % of the catch. In total, recent sampling has documented sturgeon chub presence in over 620 river miles in the Missouri, Yellowstone and Powder Rivers, including the lower reaches of 2 other large prairie rivers (Figure 4). Since 1995, sturgeon chub populations are reported as “common” in portions of the middle Missouri (Gardner 1995); lower Missouri and Yellowstone Rivers (Ruggles 1997, Welker 2000). Collections of relatively high numbers of sturgeon chub have shown them to be more numerous at some sites in Montana than previously believed. It seems likely that additional sites with relatively high numbers of specimens will be discovered in the next few years with increased collecting efforts being devoted to large-river minnow species, and the use of smaller mesh benthic trawls as an efficient collection technique (USFWS 2001). The initial diagnosis that sturgeon chubs were rare in Montana or on the verge of extirpation in the state was largely based on the belief that they had a limited distribution and probable recruitment problems (Werdon 1993). These appraisals were derived largely from the results of a federal study on the Powder and lower Yellowstone rivers in 1989 and 1990 (Werdon 1993). 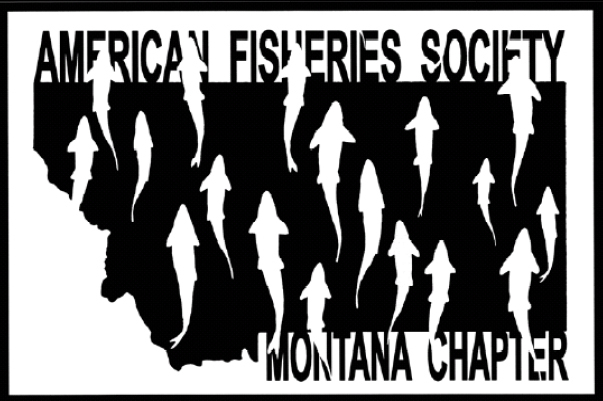 However, more recent Montana collections show the sturgeon chub is much more widely distributed than considered in the 1993 federal status report and are recruiting young to the populations. Collections in 1993 and 1994 found sturgeon chub at sites 144 km farther downstream in the Yellowstone River and over a 175 km reach of the Missouri River that were not included in the original analysis (Gardner, unpublished data). Thus, the recent total range of sturgeon chub is at least 620 miles in three Montana rivers. However, recent intensive collections indicate that the Powder River population is on the decline. Despite early concerns of the sturgeon chub conservation status in Montana, populations in the Powder River were considered stable and a stronghold in the state (Werdon 1993); as chubs were consistently collected, frequently in good numbers (Rehwinkel 1978, Werdon 1993, Gould 1994). This observation was listed as the primary reason for removing this species from the ESA Candidate Species List (USFWS 2001). Unfortunately tracking populations in the Powder River since the 1970’s, has indicated steady declines in both numbers of individuals and distribution within the river (Stagliano 2006). Rehwinkel (1978) reported collecting numerous individuals(up to 25) at all sites sampled, and sturgeon chubs represented >3% of the total catch at 3 of 7 sites (Figure 5). Figure 5. Powder River Sturgeon Chub (SC) collections and percent of fish per sample collected by Rehwinkel (BR)(1978)(left), Gould (BiGo) (1994), Werdon (SW) (1993), Gardner (BG) (2000), Riggs (VR)(1999, 2003), DEQ (2001), Bramblett (BB) (2002), Confluence Inc. (ConWY) (2002) (right). Riggs (VR) (2003), NHP (Stagliano 2006) & USGS 2005 & 2006 (bottom right). NA= not sampled during the time period listed. Red number next to point is abundance of SC collected. Gould (1994) also reported capturing numerous adult individuals (avg.15 per site) during three Powder River collections made during 1993 and 1994 (Figure 5). The presence of adults in 1993 & 1994 collections and their reproductive condition indicates strong recruitment since collections in 1989 & 1990 (Werdon 1992, 1993), as sturgeon chubs rarely live more than 3 years (Stewart 1981). Other collections in the Powder River in the late 1990’s through 2002 (Figure 5) showed declining population numbers and lower percent community composition from Rehwinkel’s earlier collections in 1978 (Gould 1994, Gardner 2000c, Riggs 1999, Bramblett 2002). Some sites showed an absence of sturgeon chubs where they were previously collected (Riggs 1999, Gardner 2000c, DEQ 2001) and the most recent collections (2003-2006) have emphasized this decline, in both the frequency of occurrence (50% occurrence rate across sites compared to 100% in the 1970’s) and low numbers of individuals when they are collected, usually just 1 or 2 individuals (Riggs 2003, USGS 2005& 2006 and Stagliano 2006) (Figure 5). Major threats to the sturgeon chub and other large river fishes are habitat and flow alterations from dams, diversions, irrigation operations and riparian development (Rinne et al. 2005). Sturgeon chubs need gravel riffles and runs in turbid shallow and deeper running waters for their life history requirements (Werdon 1992), thus decreased flows and excessive siltation of gravels are threats facing all lithophilic spawning fish species (Waters 1995). Reservoirs created behind dams inundate riverine habitats and replace the river with lentic conditions, which is unsuitable habitat for sturgeon chubs. Dams also create unsuitable habitat for sturgeon chubs downstream by reducing turbidities and/or altering temperature and flow regimes (Ruggles, pers. comm). Fortunately for this species, it appears unlikely that any new dams will be built on the Powder, Yellowstone or Missouri rivers in Montana in the foreseeable future. However, water regulation at Fort Peck Dam and several other tributary dams (Intake on the Yellowstone) continue to limit the distribution and abundance of some fish populations in Montana by fragmenting populations and restricting spawning and migration patterns (Ruggles, pers. comm., Rinne et al. 2005). Channelization has straightened and narrowed river habitat, reduced habitat diversity, and removed floodplain connectivity. These impacts have resulted in a reduction in the range of these species by approximately one half (Werdon 1993). Although sturgeon chubs have suffered reductions in range, our status survey has determined that this species currently has a wider distribution than previously thought in the state. The fact that these short-lived fish are clearly reproducing where stream habitat conditions are adequate leads us to conclude that this species will not become endangered in the foreseeable future due to habitat loss in the lower Missouri or Yellowstone rivers (Tews 1993, Ruggles 1997, Welker and Scarnecchia 2004). Low stream flows and other long-term drought related factors may have eliminated or reduced (temporarily?) some peripheral sturgeon chub populations in large prairie rivers such as the lower Teton, Milk, Tongue and Little Missouri Rivers, but dewatering poses little threat to the core populations of chubs in the Missouri and Yellowstone rivers. The Middle Powder River populations may be experiencing some of the adverse affects of low flow conditions (Peterson USGS 2009, pers comm., Stagliano 2006, USGS 2006). Irrigation projects in sturgeon chub habitats could harm populations if proper safe guards are not provided. Currently none of the larger irrigation intake structures in these rivers are screened for preventing fish loss. Hiebert et al. (1999) found that a large number of sturgeon chubs were entrained into Intake Diversion Canal on the lower Yellowstone River. Other irrigation associated threats are dewatering and cross-channel diversion dams that may block fish passage and fragment populations. The Powder River Basin in Wyoming and Montana is currently undergoing one of the world’s largest coalbed natural gas (CBNG) developments with about 12,000 wells in place in 2003, 14,200 in 2005, and up to 70,000 projected over the next 20 to 30 years (Davis and Bramblett 2006). CBNG mining has the potential to severely disrupt the river ecosystem and harm its biota, both in the riparian zone and within the stream itself. There are potential impacts associated with coalbed methane production in Wyoming waters that flow into Montana, as well as developments directly within MT’s Powder and Tongue River Basins. Information documenting how coalbed methane by-products will affect water quality in tributaries such as the Powder River is not known at this time, but the potential exists for major impacts to this already declining chub population. The impact of these CBNG projects on aquatic ecosystems is currently being investigated. The management of this species should involve routine monitoring (every 2-3 years) of existing populations. This sampling program should be designed to determine population trends, range expansion or losses and assist in collecting additional information on life history and ecology (i.e. performed during spawning periods). A sturgeon chub sampling scheme could be conducted while sampling for other large river species with benthic trawls suitable for capturing a smaller minnow species. Recommendations for operating reservoir water levels and irrigation projects should be developed for improving and maintaining sturgeon chub populations and their essential habitat requirements in Montana. Efforts are needed to address the limiting factors for sturgeon chubs in tributaries to the Missouri and Yellowstone where they have been extirpated. Further studies of the declining Powder River population need to address the chub’s tolerance or intolerance of both water quality and quantity changes. Bailey, R. and M. Allum. 1962. Fishes of South Dakota. Museum of Zoology, University of Michigan. Ann Arbor. Baxter, G. and J. Simon. 1970. Wyoming fishers. Bulletin Number 4, Wyoming Game and Fish Department. Cheyenne. Bramblett, R. G., T. R. Johnson, A. V. Zale, A. V. and D. Heggem. 2005. Development and Evaluation of a Fish Assemblage Index of Biotic Integrity for Northwestern Great Plains Transactions of the American Fisheries Society 134:624–640, 2005. Brown, C. 1976. Fishes of Montana. Big Sky Books, Montana State University. Bozeman. Confluence Consulting, Inc. 2004. Powder River Biological Survey and Implications for Coalbed Methane Development prepared for Powder River Basin Resource Council. 67 pp.+ appendicies. Cross, F. 1967. Handbook of fishes of Kansas. Museum of Natural History, University of Kansas. Lawrence, Kansas. Davis, W. and B. Bramblett. 2006. Effects of Coalbed Natural Gas Development on Fish Assemblages in the Powder River Basin. Montana Cooperative Fishery Research Unit Fact Sheet, Montana State Univeristy. 3pp. Elser A. et al. 1977. The effect of altered streamflow on fish of the Yellowstone and Tongue Rivers, Montana. Technical Report No. 8, Yellowstone Impact Study, for the old west Regional Commission. Helena. Elser, A. et al. 1980. Distribution of fishes in southeastern Montana. Report submitted to the Bureau of Land Management. Miles City. ____________. 1995. Northcentral Montana Fisheries Study, Missouri River pallid sturgeon inventory. Mont. Fish Wildlife and Parks. Helena. Fed. Aid to Fish and Wildlife Rest. Proj. F-46-R-8. Study No. III, Job D. 13pp. Gardner, W. M. and R. Berg. 1982. An analysis of the instream flow requirements for selected fishes in the wild and scenic portion of the Missouri River. Montana Fish Wildlife and Parks. Helena. 111pp. Gardner, W.M. 1995. Northcentral Montana Fisheries Study, Missouri River pallid sturgeon inventory. Mont. Fish Wildlife and Parks. Helena. Fed. Aid to Fish and Wildlife Rest. Proj. F-46-R-8. Study No. III Job D. 13pp. Gardner, W.M. 2000b. Upper Missouri River Pallid Sturgeon Recovery Studies–2000 Progress Report. Montana Department of Fish, Wildlife, and Parks. Lewistown. Gardner, W.M. 2000a. Upper Missouri River Pallid Sturgeon Recovery Studies–1999 Progress Report. Montana Department of Fish, Wildlife, and Parks. Lewistown. Gardner, W.M. 2006. Montana Dept. of Fish, Wildlife, and Parks, pers. comm, Dec 12. Girard, C. 1856. Researches upon the cyprinoid fishes inhabiting the fresh waters of the United States, west of the Mississippi Valley, from specimens in the museum of the Smithsonian Institution. Proceedings of the Academy of Natural Science of Philadelphia. 8: 165-213. Gould, W. 1994. The recent distribution of sturgeon chub (Macrhybopsis gelida) in Montana. Report to the Montana Department of Fish, Wildlife and Parks. Helena. Gould, W.R. 1997. A summary of information on sturgeon chub in Montana. Unpublished report Montana State University, Bozeman. 18 pp. Grady, J.M., and J. Milligan. 1998. Status of selected cyprinid species at historic Lower Missouri River sampling sites. U.S. Fish & Wildlife Service, Columbia, MO 49 pp. Grisak, G.G. 1996. The status and distribution of the sicklefin chub in the Middle Missouri River, Montana. M.S. Thesis, Montana State University, Bozeman. 77 pp. Haddix, T and L. Holte. 2008. Unpublished 2007 Data For 2008 MFISH Update. Report to the Montana Department of Fish, Wildlife and Parks. Helena. Hiebert, S. D., R. Wydoski and T.J. Parks. 1999. Fish entrainment at the lower Yellowstone Diversion Dam, Intake Canal, Montana – 1996-1998. Technical Service Center Data Report. Bureau of Reclamation. In press. 52 pp. Holton, G. 1980. The riddle of existence: fishes of special concern. Montana Outdoors 11: 2-6. Hunter, C. 1994. Species of special concern list updated. Montana Outdoors, September/October: 32-33. Holton, G. 1980. The riddle of existence; fishes of special concern. Montana Outdoors 11: 2-6. Lee, S. et al. 1980. Atlas of North American freshwater fishes. North Carolina State Museum of Natural History. Raleigh. Liebelt, J., in litt. 1999. Fisheries Biologist, Montana Department of Fish, Wildlife and Parks, Fort Peck. NatureServe. 2008. NatureServe Explorer: An online encyclopedia of life [web application]. NatureServe, Arlington, Virginia. Available http://www.natureserve.org/explorer (Accessed: January 6, 2008). Pflieger, W. 1975. The fishes of Missouri. Missouri Department of Conservation. Jefferson City, Missouri. Rehwinkle, B. 1978. Powder River aquatic ecology project. Report to Utah International, Inc. Salt Lake City. Rinne, J., R. Hughes and B. Calamusso, eds. 2005. Historical Changes in Large River Fish Assemblages of the Americas. Published by American Fisheries Society, Bethesda, MD. 612 pages. Ruggles, M.P. 1997. Sections 2 & 3: Upper Inter-Reservoir I and Lower Yellowstone River, Montana. in D.J. Dieterman, M.P. Ruggles, M.L. Wildhaber, and D.L. Galat, editors. Population structure and habitat use of benthic fishes along the Missouri and Lower Yellowstone Rivers. 1997 Annual Report of Missouri River Benthic Fish Study PD-95-5832 to U.S. Army Corps of Engineers and U.S. Bureau of Reclamation. Smith, M. 2009. Fisheries Biologist, Cody, Wyoming Department of Fish and Game. Personal communication. Stash, S.W. 2001. Distribution, relative abundance, and habitat association of Milk River fishes related to irrigation diversion dams. Master’s thesis. Montana State University, Bozeman. Stewart, D. 1981. The biology of the sturgeon chub (Hybopsis gelida Girard) in Wyoming. Masters Thesis. University of Wyoming. Laramie. Stewart, P.A. 1994. Survey and inventory of warmwater streams. Southeast Montana warmwater streams investigations. Montana Fish Wildlife and Parks. Helena. Fed. Aid to Fish and Wildlife Rest. Job Prog. Repr. F-46-R-7, Job III-B. 10 pp. Tews A. 1993. Pallid sturgeon and shovelnose sturgeon in the Missouri River from Fort Peck Dam to Lake Sakakawea and in the Yellowstone from Intake to its mouth. Report submitted to the U.S. Army Corps of Engineers. Planning Branch. Omaha. U.S. Fish and Wildlife Service (USFWS). 18 April 2001. 12-month finding for a petition to list the sicklefin chub (MACRHYBOPSIS MEEKI) and the sturgeon chub (MACRHYBOPSIS GELIDA) as endangered. Federal Register 66(75):19910-19914. U.S. Fish and Wildlife Service (USFWS). 1993. Status report on sturgeon chub (Macrhybopsis gelida), a candidate endangered species. U.S. Fish and Wildlife Service, Bismarck, North Dakota.58 pp. Welker, T.L. 2000. Ecology and structure of fish communities in the Missouri and Lower Yellowstone Rivers. PhD. Thesis, University of Idaho, Moscow. 232 pp. Welker, T. L., and D. L. Scarnecchia. 2004. Habitat use and population structure of four native minnows (family Cyprinidae) in the upper Missouri and lower Yellowstone rivers, North Dakota (USA). Ecology of Freshwater Fish 13:8–22. Werdon, S. 1992. Population status and characteristics of Macrhybopsis gelida, Platygobio gracilis and Rhinichthyes cataractae in the Missouri river Basin. Masters Thesis. South Dakota State University. Brookings. Werdon, S. 1993. Status report on sturgeon chub (Macrhybopsis gelida), a candidate endangered species. U.S. Fish and Wildlife Service, Ecological Services, North Dakota State Office. Bismarck. Werdon, S. 1993. Status report on sturgeon chub (Macrhybopsis gelida), a candidate endangered species. U.S. Fish and Wildlife Service, Ecological Services, North Dakota State Office. Bismarck. Wyoming Department of Fish and Game. 2006. Pers. comm. with Gordon Edwards, Powder River Native Species Coordinator. Justification: data from MFISH, personal communication with biologists and unpublished data, we’ve documented population estimates from 1-300 sturgeon chubs per river mile, with median values between 50-70 chubs per mile for totals ~31,000-43,000 in the state occupied river miles. Justification: from MFISH, pers. comm. and unpublished data, we’ve identified the uppermost and lowermost extant populations of sturgeon chubs in the Missouri, Yellowstone, Powder mainstem and tributaries still reporting populations (i.e. Tongue River, lower 10 miles) and summed the river miles for a total of 1,000 km or ~620 miles. 3) Long-term Trend = D D = Moderate Decline (decline of 25-50%) (Fort Peck reservior, Bighorn, Tongue Rivers) Justification: from the historical occupied suitable river miles in MT (~1100 miles), we subtracted the currently occupied RM of ~620 for a loss of 480 RM or 43%. 4) Short-term Trend = D D = Declining. Decline of 10-30% in population, range, area occupied, and/or number or condition of occurrences (Powder River) Justification: from the currently occupied suitable river miles in MT (620 miles), we conservatively subtracted 135 RM (an average of the upper 50 RM of the Powder River and liberally the entire 220 RM) for a recent population decline of 22% (8-35%). 6) 1) Intrinsic Vulnerability = B B = Moderately Vulnerable. Justification: Species exhibits moderate age of maturity, frequency of reproduction, and/or fecundity such that populations generally tend to recover from decreases in abundance over a period of several years (on the order of 5-20 years or 2-5 generations); or species has moderate dispersal capability such that extirpated populations generally become reestablished through natural recolonization (unaided by humans). 7) Environmental Specificity = B B = Narrow. Specialist. Justification: Specific habitat(s) or other abiotic and/or biotic factors are used or required by the species, but these key requirements are common and within the generalized range of the species within the area of interest.